“Summer lovin’ had me a blast…” Just about everyone loves summer — it’s filled with so many good things: fireworks, vacations, picnics, gatherings with friends and family, and lots of outdoor fun. But with all of the good things that come rushing in, it’s easy to let the busyness crowd out intimacy in your marriage. Yes, Danny Zuko and his buddies were eager to relish in the heat of the summer nights, but outside of Hollywood movies, we all know that the best nights of sexual intimacy follow daytime connection, fun, and trust. 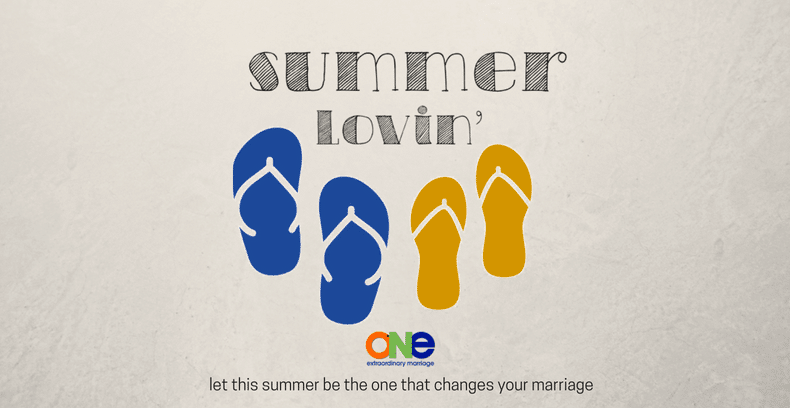 We want you guys to make this summer a defining one for your marriages, but to do that, you have to be intentional – about each of the marital intimacies. We’ve jotted down some ideas of ways you might want to tackle one (or more) of the intimacies below. Don’t try to do everything all at once. Pick one or two with your spouse and work on growing in that area. It will have a ripple effect, we promise! Sexual – Sleep naked. Plan for fun sexual intimacy on vacation. Join the Position of the Month Club. Recreational – Don’t leave all of the fun for the kids — go make your own fun! Catch fireflies. Go skinny dipping. Watch fireworks. Stargaze around the fire pit. Financial – Start with your budget for summer activities. Once you both are on board with how much you’re comfortable spending on vacations/camps/extras there won’t be tension or regret over finances and you’re free to enjoy! Emotional – How will you make time to connect with your spouse this summer? Commit to doing a weekly Coffee Break. Listen to our new daily podcast Daily Steps and discuss these bite-sized actions with your spouse. Spiritual – Read through a devotional book together. Pray for one another. Serve at church together. Don’t let the whole summer slip by and leave you wondering what happened. Make extraordinary happen. Ethos is reinventing life insurance. They take something complex and make it simple. In doing so, they can help families when you are most in need. Use Ethos to apply for term life insurance online in 10 minutes. No medical exams, paperwork, or weeks of back and forth with an agent. They know that family life is busy, so they want to help you get coverage quickly. It’s quick and simple. Take that step and apply for coverage today for FREE.